Launched twenty years ago in Marseille, ‘Euroméditerranée’ is one of the biggest economic development and urban redevelopment operations in Europe. This international-scale programme engages the restoration of a perimeter of 480 hectares in the heart of the Marseille metropolis, between the commercial port, the Vieux Port and the main train station. 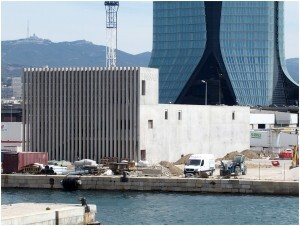 An operation for city redevelopment as well as economic, social and cultural development, Euroméditerranée is an accelerator for attractiveness and influence of the Aix-Marseille metropolis between Europe and the Mediterranean. Jean- François Royer, Development Director, explains the importance of the innovation at the heart of this big project which is already inspiring other Mediterranean cities. How does Euroméditerranée come up with its innovation? 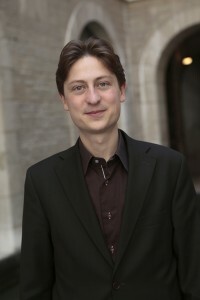 Jean-François Royer: Innovation is an integral part of Euroméditerranée. As part of our developing contract work, we put innovation into all of our operations. When we delegate projects to service providers, we write ‘innovation’ in the specifications. As developers, innovation can be just as much a part of the constructive processes as it can be for energy efficiency and cleaning up the planet. As a prime example, we’re counting on maritime geothermics. Two temperature networks (cold and hot) are currently being developed by private operators, one by an affiliate group GDF Suez on Euromed 1, the other by EDF OS to feed Smartseille and bigger still Euromed 2. These networks offer the advantage of producing decarbonised energy on an industrial scale composed of 70% renewable energy at a stable price. Innovation also comes across in functions. 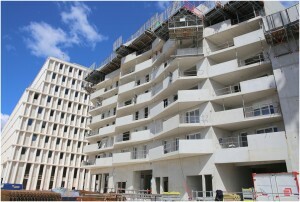 The demonstrator Allar/Smartseille initiated by Euroméditerranée and developed by the group Eiffage enables the founding principles of a Euroméditerranée EcoCity to be tested. The project will eventually welcome nearly 800 locals and more than 2000 employees. We have developed numerous sources of innovation for better living and savings there like, for example, a parking space reservation platform which allows a space to be used by an employee during the day, a local during the night, a guest at the weekend etc. Innovation is also expressed in economic development. We care about dealing with innovative businesses, to allow the local companies to grow and attract new ones. Working with these digital technology companies has always been a priority like witnessing the creation of the ‘Pôle Média Belle de Mai’ ten years ago and the implementation of a complete chain of value integrating the chance for training, incubators and hothouses, associations, shared-resource and research centres. Many of them are start-ups which have benefited from this environment before becoming recognised ‘tech champions’ which continue to develop internationally from Marseille especially in the business district of La Joliette, one of the biggest in Europe with more than 550 000 m2 of office space. Public equipment, training equipment, and international cultural influence equipment have also been programmed into the issue of building a global service project, and at the same time, for economic development of the population. The Med’Innovant contest, whose fifth edition will take place in November, picks out, promotes and accompanies project owners who wish to lead innovative and sustainable initiatives through the creation of services or demonstrators, on the perimeter of the Euroméditerranée Marseille EcoCity, and more broadly speaking on the metropolitan territory. The name of the programme itself conveys belonging to the European continent but also the Mediterranean sphere. Is belonging to the Mediterranean an important characteristic for Euroméditerranée? Jean-Francois Royer: A development programme such as ours couldn’t come true in the same way in Lille or in Marseille. Today, the models for sustainable cities are located more in Northern Europe, in Sc andinavia, Germany or Switzerl and. Mechanically developing such models wouldn’t make sense. From the climate, the proximity to the sea, the functions, the available revenue, we are much closer to Mediterranean cities such as Rabat or Tunis than to Copenhagen or Berlin. We have strong assets at our disposition such as the sunshine and the presence of the sea and the wind which we exploit as best as we can. Can the experience acquired by Euroméditerranée become a source of inspiration for other Mediterranean cities? Jean-Francois Royer: That is absolutely what we are after. Euroméditerranée has seen itself entrusted with the mission of exporting French know-how. We actively participate in the network of sustainable urban operators in the Mediterranean. This network, created in 2010 and composed of Egyptians, Moroccans, French, Tunisians, Jordanians and Lebanese, enhances cooperation and exchange of effective working methods between development professionals around the Mediterranean.